Anne Boleyn: What Did She Really Say? 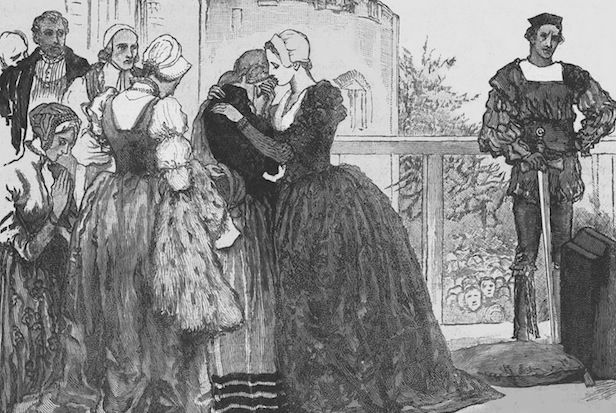 There are few accounts of Anne Boleyn’s last words, but do we know what she really said? 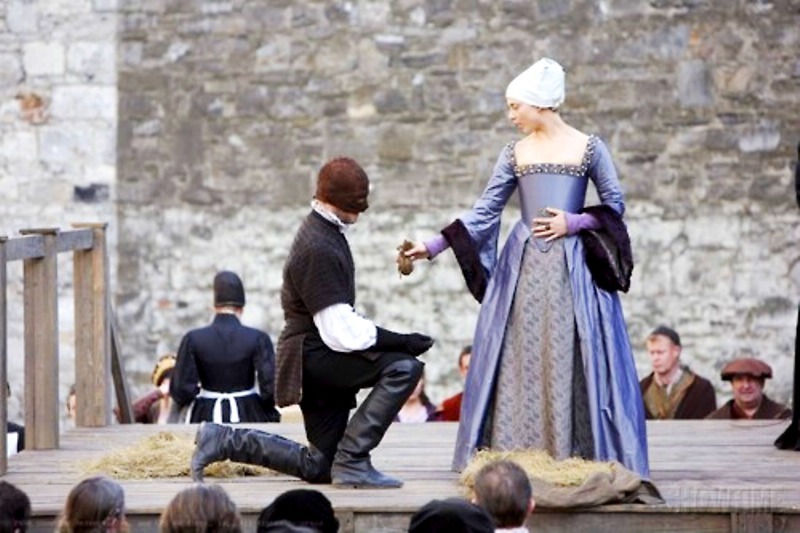 The 19th of May is the anniversary of the execution of Anne Boleyn. It is an event that history will not soon forget. No matter how hard Henry VIII tried to wipe her from history her story remains as one of the most well-known in English history. Below are examples of what people had documented Anne Boleyn said right before her death. As you’ll notice most are fairly similar, but there is one that stands out from the rest. You’ll know immediately which one I’m referring to; When I originally read it I cringed because I strongly believe Anne would never have uttered those words in her final moments of life. At least not the Anne I feel like I know. Perhaps you’ve seen these all before, and if so, I beg you to take a good look at them today and imagine Anne saying them. Imagine being in her place that fateful day. She was a real person. She had a young daughter. I think it’s easy for us to forget that she was real, and not a character in a movie or TV program sometimes. “She was brought by the captain upon the said scaffold, and four young ladies followed her. She looked frequently behind her, and when she got upon the scaffold was very much exhausted and amazed. She begged leave to speak to the people, promising to say nothing but what was good. The captain gave her leave, and she began to raise her eyes to Heaven, and cry mercy to God and to the King for the offence she had done, desiring the people always to pray to God for the King, for he was a good, gentle, gracious, and amiable prince.” Vienna Archives, Letters and Papers, Foreign and Domestic, Henry VIII, Volume 10, January-June 1536. Originally published by Her Majesty’s Stationery Office, London, 1887. And so was the end of Anne’s life on Earth, but her story continues through all of us…. I believe the quote that the writer claims the Anne she has come to know, never would have made is quote 3. I’ve never heard it nor do I believe she would ever have said such a thing. #3! – The Spanish Ambassador was known to hate Anne and to continually spread false and derogatory comments and stories about her. Not a credible story at all! The OP might mean Chapuys, who was not precisely the “Spanish” ambassador but that of the Holy Roman Emperor. He may not have even spoken Spanish. I think #4 sounds like something Anne would have said. She was falsely accused and condemned though. Anne was protecting her young daughter, and her parents and sister. She was far too politically astute to have said anything resembling #3. Her contemporaries would not have been fooled by her praise of Henry VIII. And her injunction for anyone who looked into her cause to judge for the best speaks as loudly and clearly as possible (under the circumstances) that she is not guilty. I don’t believe #3 AT ALL!!!! #2 and #4 have an authentic ring to them. Francis Bacon is a bit on the flowery side, and the Spanish Chronicle is absurd. Statements from the scaffold had a tradition that Anne would have known of, with speeches often designed to protect families from retaliation. She wouldn’t have said that. At the end of the day Anne was wise enough to know that any snarky comments made about Henry or his new wife to be Jane, would madden the king. Even though she would be long gone, he could still take it out on her daughter. I don’t think she would want Elizabeth to suffer any reprocussions from her last and final speech. Sounds to me more like Spanish proproganda. Spanish hates her as she betrayed Katherine Of Aragon who was also Spanish. Quote 3 is my best guess as being false. It doesn’t even remotely sound like something she would say, let alone name Jane Seymour. I myself would never have acted as kindly as she did. I believe she only acted so kindly to protect her daughter. I think she was beyond bright.. “merciful” amongst the praise.. oh yes.. She mocked him between the gesture of praising him.. Lost between the lines.. From what I read she begged for mercy and he either never got the letter or possibly interecepted by “Cromwell” or Henry ignored it.. that of course she did not know. Yes, agree though about protecting her daughter. I think number 4 is the one, but I wouldn’t be surprised if it was a little of all. The line ” if you meddle in my cause” just breaks my heart because if she only knew how many people have meddled in her cause and have loved her.